The Akai MPX8 is one of Akai Professional’s most innovative pad instruments yet. Using a standard SD card, users can load virtually any sample onto MPX8 and then assign it to any of the unit’s eight backlit velocity- and pressure-sensitive pads. Considering purchasing the Akai MPX8? Have questions? Ask people who've recently bought one. Do you own the Akai MPX8? Why not write a review based on your experience with it. Great little sample player. If all you want to do is add some samples over something, or play a few drum beats then this is for you. Knocking 1 star off for the slightly slow loading times and the computer software to create kits isn't the greatest, but the actual operation of the unit is fine. 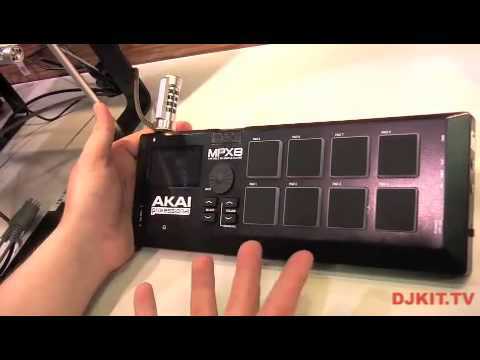 Seen a video for Akai MPX8 online or have you own video? 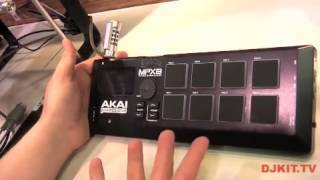 Check out Akai MPX8 on DJkit.com!